The Zerio Plus is a compact radio fire alarm system designed for use in any type of commercial or residential premises. 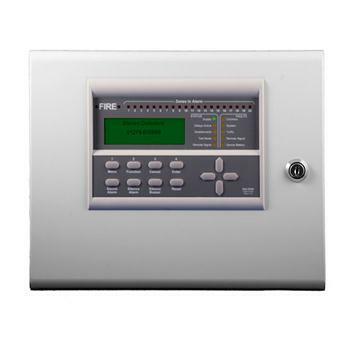 With the culmination of 30 years experience of fire alarm system design and manufacture, the Zerio Plus has replaced the well established Millennium and Zerio series of equipment combining the advantages and features of both systems. The installer does not require expensive additional equipment to configure the complete system. Once installed, the control panel is used to aid system set-up, program devices and to commission the system. The automatic set-up and learn modes simplify configuration decisions, reducing the possibility of errors. The servicing/addition/removal of devices does not require extra programming equipment. Complex cause and effects can be programmed into the panel using the front keypad or by connecting a standard USB keyboard. Alternatively by programming a USB memory fob with a PC and then downloading the information into the panel. Internal configuration and operating data can be downloaded on to the same memory fob and then analysed on a PC. Configuration is also stored on a removable memory card for backup. The panel is capable of warning of any devices approaching their pre-programmed alarm condition and should any of the devices gradually become contaminated, a warning condition is generated. How Many Batteries Does The Zerio Plus Control Panel Require For Battery Backup? All versions of this panel only require a single battery with capacity of either 3 or 7ah. How Is The Zerio Plus Control Pane Programmed? All programming is done directly via panel using the intuitive menus. Further this to we offer a complimentary pre-programming service to all of our customers where we will learn all devices to the panel(s) on our customers’ behalf. The system arrives all labelled up making the installation as streamlined as possible.